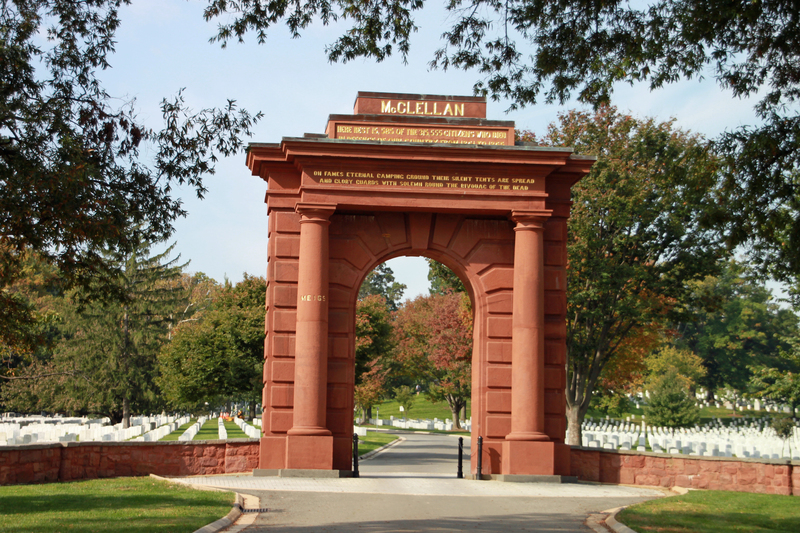 When Arlington National Cemetery opened to the public in 1864, everyone passed through the McClellan Arch, which is about 150 yards to the left of the current entrance. Named for Union Gen. George B. McClellan, whose Civil War headquarters was on the cemetery’s grounds, the 30-foot arch was originally a tribute because its namesake wasn’t dead. McClellan later died in 1885. He isn’t buried in Arlington, though his son George McClellan, Jr. is. This entry was posted in Arlington National Cemetery and tagged Arlington National Cemetery, Best DC walking tour, McClellan Arch, Photo by Rick Snider. Bookmark the permalink.